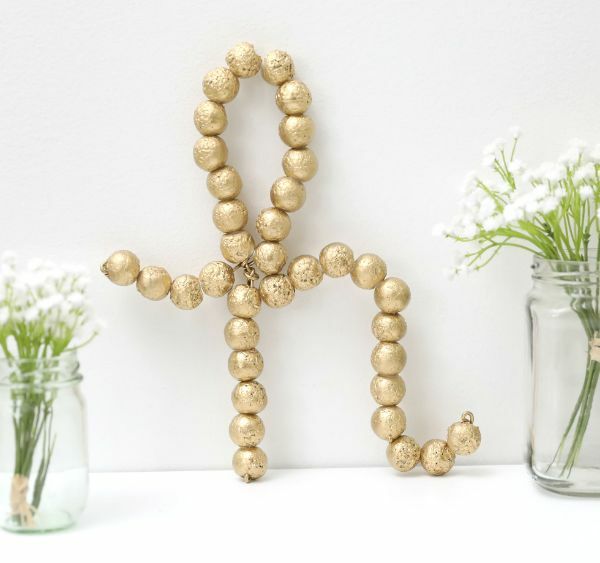 "H" is for "home," and you can add personality to your home decor with this letter project involving numerous Styrofoam balls. The tutorial shows how to create a cursive lowercase "h," but the technique is the same for any letter. Sketch out the letter you want and bend the wire so it matches that shape. Bend each wire end when you're done so it doesn't scrape against anything. This craft uses the color gold, but you may use any spray paint color, provided the paint is safe for foam. Some paints dissolve foam, so read the label before applying it to the project. When applying the paint, do it in a ventilated area and wear a face mask for protection. 1. 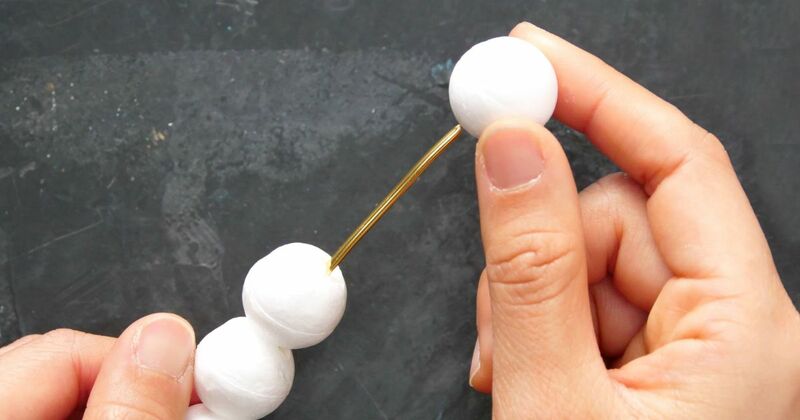 Pour the Styrofoam balls into the bowl. Measure and cut off 2 feet of wire. 2. Thread 18 balls onto the wire, leaving 1 inch of wire at the top. Use the pliers to curl the 1 inch of wire down into a loop. 3. Count nine balls in and bend the wire in an upside-down “U” shape after the ninth ball. 4. Pull down the right side of the wire. Cross it above the sixth Styrofoam ball from the curled wire top. Wrap the wire around the left side of the wire at that junction. 5. Adjust the bare wire so it sticks out to the left. Thread the bare wire with four more balls. Curl the wire into a loop and cut off the excess. 6. Measure and cut off 1-1/2 feet of wire. Thread the wire with 12 more balls, leaving 2 inches of wire at each end. 7. Thread one end of the wire under one of the wires where the wires intersect from Step 4. 8. Wrap the wire from Step 7 around an intersecting wire. Cut off the excess. Slide the balls to the end of the wrapped wire. 9. Curve the wire from Step 8 so it looks like the rest of a lowercase “n” with a slight hump at the top. Bend to the right the wire with the last two balls so it looks like a foot. Bend the remaining wire and cut off the excess. 10. Cut off 8 inches of twine. Tie it around the top of the letter and knot it to form a loop for hanging. 11. Place the letter on a protected work surface. Ventilate the area and don a face mask. 12. Spray paint one side of the letter. Let it dry. Flip the letter and spray paint the other side. Let it dry. 13. Prop up or hang in the desired location once it's dry.